Turn out high-quality prints on ordinary paper by xerography! The benefits of a unitized microfilm system begin at the drafting board and spread throughout a company to save time, materials, and space. 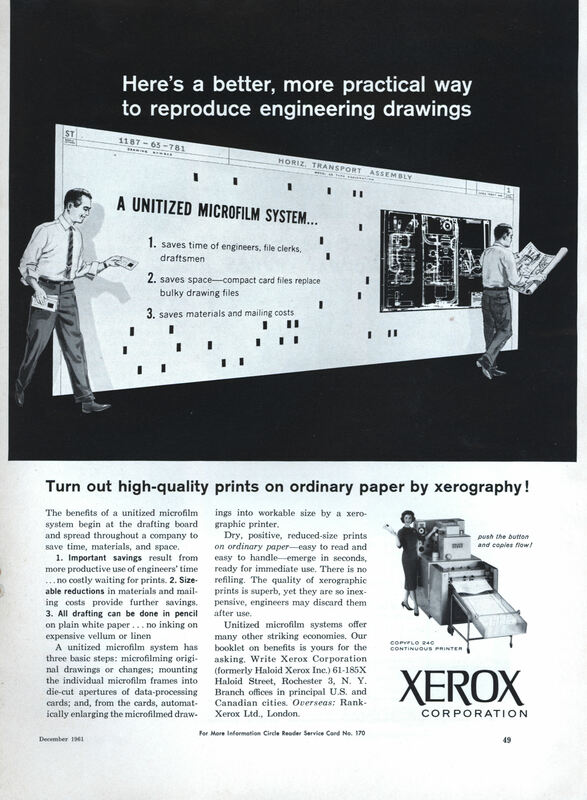 A unitized microfilm system has three basic steps: microfilming original drawings or changes; mounting the individual microfilm frames into die-cut apertures of data-processing cards; and, from the cards, automatically enlarging the microfilmed drawings into workable size by a xerographic printer. Dry, positive, reduced-size prints on ordinary paperâ€”easy to read and easy to handleâ€”emerge in seconds, ready for immediate use. There is no refiling. The quality of xerographic prints is superb, yet they are so inexpensive, engineers may discard them after use. Yes… the drawings don’t need to be refiled… but the punch cards still need to be filed. 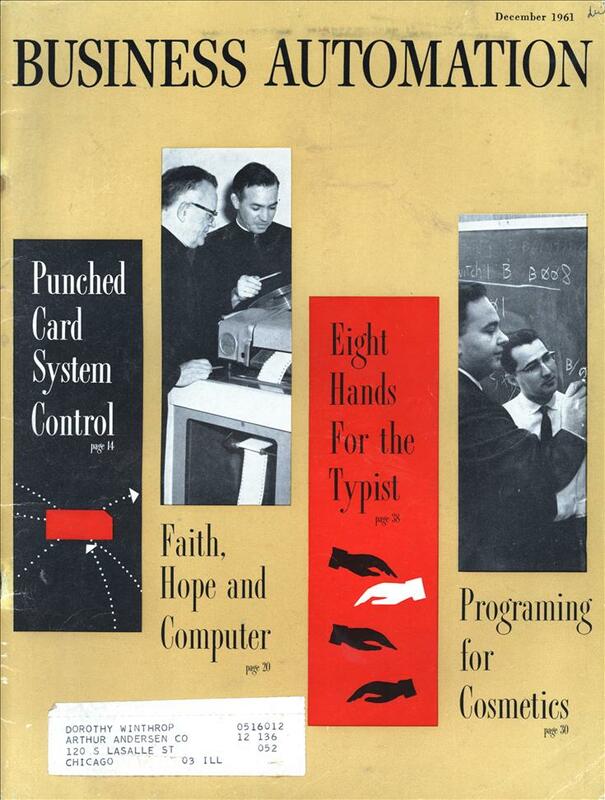 Well but if you have those things on punch cards, you can use all your punch card processing systems. Filing the punch cards was probably nothing next to the smelly chemicals and gallons of water needed to make old-school blueprints or whiteprints.